Adams Road Elementary has partnered with two inner city schools to help them with supplies and everyday items they require. 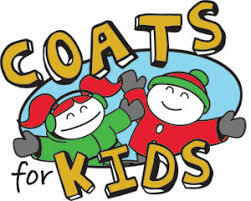 On October 26th & 27th at drop off in the morning, we will be collecting donations of coats, hats and mittens for these schools. mornings to collect donations from you as you drop your children off at the school. Please note, the items are not required to be new and can be gently used.